Genre films aren’t what they used to be. I don’t mean this in a nostalgic sense, but rather, as a statement of fact. What we visit theaters to see, and the type of entertainment we expect, has fundamentally changed over time. While low production costs and high return have typically marked horror as one of the most profitable movie genres, our blockbuster terrors have shifted from the theatrics of Dracula (1931), to the intensity of Halloween (1978), then to the violence of Saw (2004). Similarly, science-fiction rose up the ranks into pedigree thanks to films such as The Day the Earth Stood Still (1951), Star Wars (1977), Blade Runner (1982), and more. As our perception of media evolves, it makes sense that our perception of bees in and out of this media would advance as well. As the 70s gave way to the 80s, bee-helmed films such as The Deadly Bees (1966) and The Swarm (1978) all but vanished. Could bees no longer sell a ticket? Had audiences lost their taste for stinging carnage? History mostly points to The Swarm’s big budget failure as a death knell for both bee movies and the “golden age” of disaster films. This era, which included The Poseidon Adventure (1972), Earthquake (1974), and The Towering Inferno (1974), essentially died out with The Swarm. So, what was left to fill the gap? Once Halloween and Star Wars left their indelible mark on movie history, the answer was clear: traditionally risky genre films could make both a profit and an impression. With investors more willing to dive in on what might be considered bizarre movies, the late 70s and 80s exploded in a wealth of iconic genre films, the likes of which still haven’t been matched. This was the era that gave us Alien (1979), Raiders of the Lost Ark (1981), Gremlins (1984), A Nightmare on Elm Street (1984), and countless others. The bee movie, however, would not benefit from this creative fount. In fact, it was 13 years after The Swarm before bees would even feature in another major Hollywood production (1991’s Fried Green Tomatoes), much less headline one. 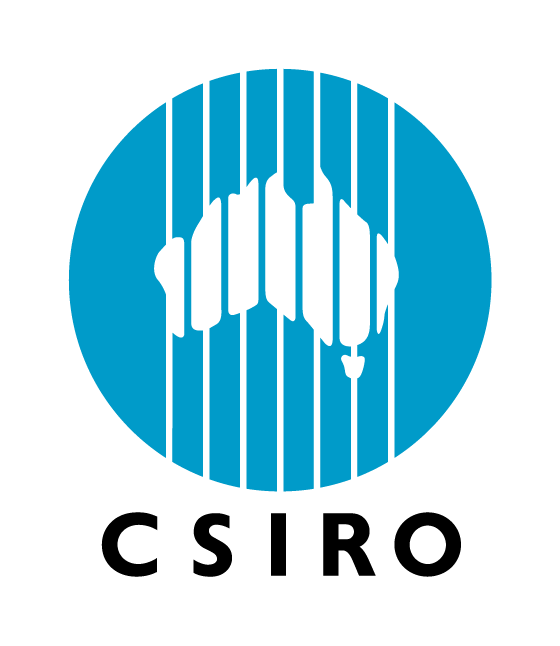 Outside a scant few foreign arthouse films, our beloved apicultural associates remained off the big screen for quite a while. The potential reasons for this are numerous: The Swarm busting the “beesploitation” boom, youth interest in slasher films, and even increased public education regarding the honey bee’s actual, minimal threat level. Whatever the reason, beesploitation films entered hibernation until the 90s. When they finally emerged, bees found themselves in a much subtler role than those of their silver screen ancestors. Gone are the apocalyptic clouds of raging killer bees, and in their place, we find genre depictions of bees which are less intense, more realistic, but nonetheless quite compelling – such as those in Candyman (1991) and The X-Files (1998). At a glance, Candyman and The X-Files don’t seem to have much in common, aside from release dates in the 90s. Moving deeper, however, it’s apparent the two are cut from the same cloth. Both films speak to the contemporary evolution of their respective genres, and stand as testaments to a larger zeitgeist. Candyman is indicative of a trend towards more explicit gore and brutality in mainstream horror; it also rides the first wave of serious self-examination in horror films, one which would peak with 1996s Scream. 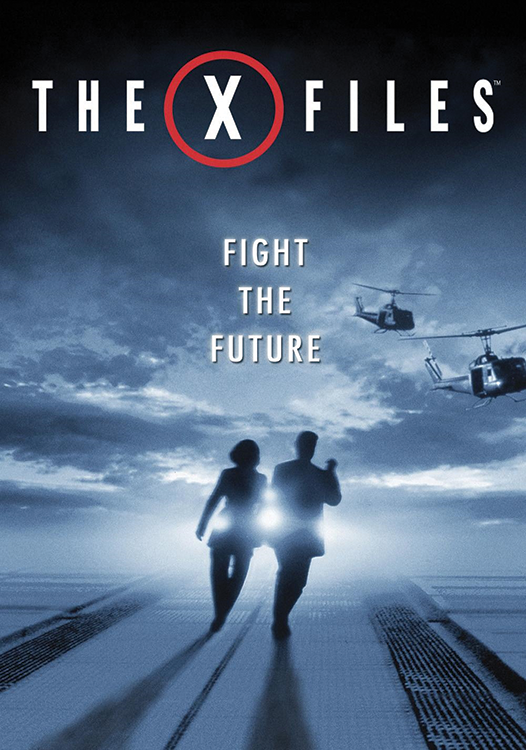 Similarly, The X-Files (the film) exists as a component of television’s push towards a more “serious” serialized narrative format, which began with Twin Peaks, continued with The X-Files (the show), and lives on today in Breaking Bad, Game of Thrones, and most major television shows. Although it’s important to note that while both films share a certain cultural weight, they also share a certain important insect. I’m sure you know which one. Candyman and The X-Files, in essence, represent the first major appearances of bees in Hollywood genre filmmaking after 1978. Neither film puts bees front and center, but neither needs to. Here, the honey bee is used appropriately in a genre setting: as a narrative device which utilizes the black and yellow fellows as a method to reveal and embellish the larger themes of the film. That being said, bees are still largely meant to be feared in these films, but much more implicitly than the bombastic beesploitation films of yesteryear. Overall, the representation of honey bees in Candyman and The X-Files is largely the same manner of symbolic appearances that bees have maintained in the 20-something years since, so let’s get started. Say your goodbyes to killer bees blowing up a power plant: this is more nuanced stuff. 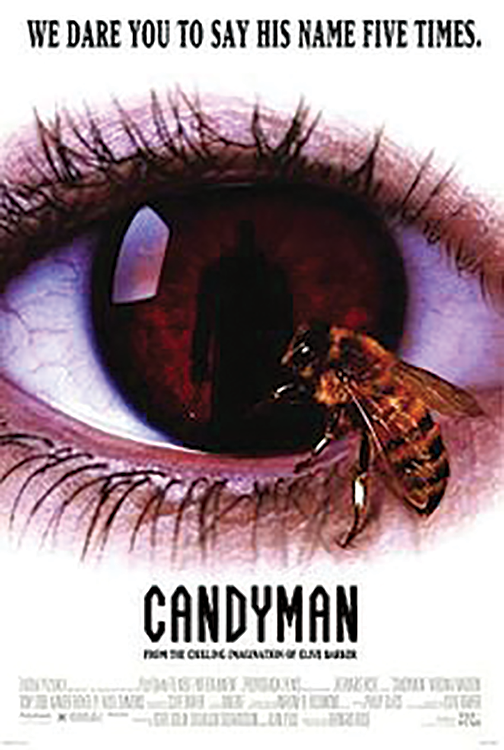 If you’ve heard of Candyman, you’re likely familiar with its iconic poster: a honey bee crawls across an open eye; a man with a hook reflects in the pupil. Between this striking motif and the film’s opening shot of a teeming swarm, it’s easy to assume Candyman would feature apiculture more prominently. Instead, the movie, based on a short story by author and Hellraiser creator Clive Barker, becomes a mediation on forbidden knowledge, the revenge of society’s repressed, and the nature of urban legends. 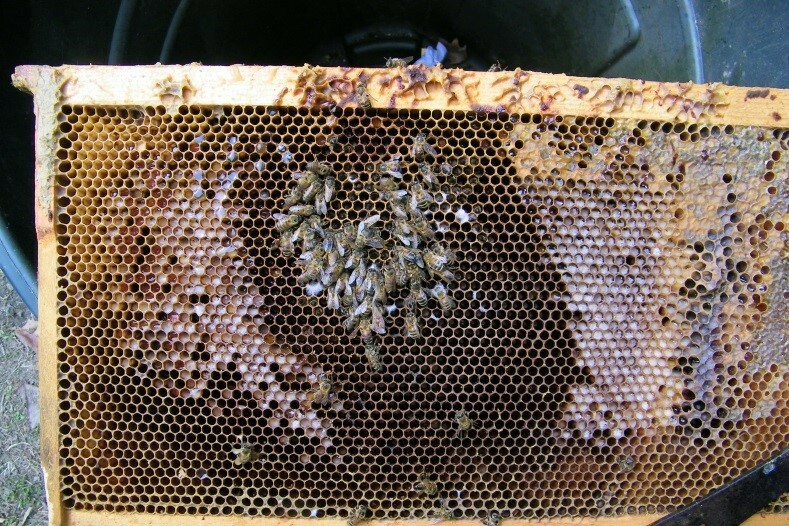 The film keeps bees on the sidelines – after all, they aren’t the focus. Instead, the focus is on the eponymous Candyman, or rather, on his mythology. A graduate student named Helen seeks to write her thesis on urban legends, particularly that of a hook-handed killer who appears when his name is spoken into a mirror five times. As Helen moves closer to the source of the legend, those close to her wind up deceased, and her reality grows more and more uncertain. By the conclusion of the film, Helen herself is sucked into the world of the Candyman, and she takes his place as the newest Bloody Mary-esque monster. Candyman is a unique statement on the nature of horror stories, particularly in its examination of how we compartmentalize modern fears and anxieties as urban legends. In this case, of course, the legend is real, but it wouldn’t seem so compelling without the multiple layers of backstory that the narrative provides. One of these layers involves apiculture, namely the Candyman’s cause of death: legend has it he was stung to death by bees. Aside from this offhand mention, bees appear rarely: in hypnotism sequences, once in a toilet, once pouring out of the Candyman, and once again at the film’s fiery conclusion. In Candyman, bees are ultimately just another thread in the rich tapestry of mythology the film weaves for its central character. 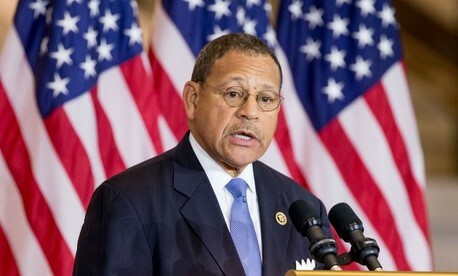 Even though the movie concludes with Candyman peeling back his robe to reveal a skeletal body infested by bees, bees are never actually presented as a credible threat – a slight step up from films such as The Swarm. Instead, the honeybee clicks into place with the film’s theme of repression, a trope consistently instrumental to horror films as a whole. In this case, bees provide a stark counterpoint to the urban landscapes of Chicago in which the film resides. In these concrete tombs of urban housing, bees become a rarity, a reminder of the rural sentiments and natural world which such a city manages to subdue. They reflect the Candyman himself: something which has long been buried beneath modern ways of thinking, but eventually comes bubbling up to the surface. 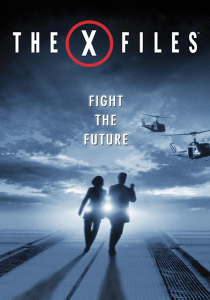 Seven years after Candyman, The X-Files, also known among fans as “Fight the Future,” would define the role of bees in modern film even further. Following the show’s fifth season, The X-Files was meant as a conclusion to its namesake, but instead became a bridge into the sixth season. Presenting a story which could simultaneously pay off five years of viewership and also invite new viewers is no easy feat, but The X-Files largely manages in both regards. It also frames bees in a completely unique light: as the unwitting carriers of an extraterrestrial virus. Centered on an alien colonization conspiracy, The X-Files pits FBI agents Scully and Mulder against sinister government figures – ones who attempt to stop the duo from uncovering the truth about a virus which converts those infected into incubators for an alien species. As with the majority of X-Files episodes, the film concludes on an ambiguous note: Mulder dispels the alien threat with the help of a vaccine, but there’s more than meets the eye, and the shady government forces which attempt to stifle the truth are always prepared for retaliation. Ultimately, not much is resolved, but the film posits a sinister question: what if honey bees could be used as a method to spread a biological weapon? This is what Scully and Mulder discover in a rural Texas cornfield: two domes filled with hundred of bees, intended to spread pollen from crops which include the alien virus. A single sting spreads the infection, which Scully experiences firsthand. Once she ends up in a storage tank deep within the bowels of a UFO, it becomes clear that the bees of The X-Files serve a dual purpose. In addition to serving as the narrative device which spreads the gene-altering disease, here the honey bee becomes a link to the rigid, hive-like aesthetics of the UFO. In a story about the colonization of Earth by extraterrestrial forces, the foreign hivemind of the bee once again becomes alien in the eye of the common viewer. Although not dissimilar to the sense of insular fear found in The Swarm, the alien connotations of bees in The X-Files are both literal and figurative, in that they constitute a threat which is both unfamiliar to standard audiences, and one outside of the Earth itself. Even though their actual appearance is relatively minor, here it’s the implication of the honey bee’s role which inspires terror as opposed to their actions. The colony structure receives negative undertones thanks to the associations with the alien invaders, and although no one is killed by a bee in The X-Files, Scully is nearly put out of commission by a single sting. Arguably better than the representation of bees in lurid beesploitation films such as The Deadly Bees and The Swarm, the presentation of apiculture in The X-Files and Candyman is implicitly negative, if not explicitly. While the return of bees in film during the 1990s took several steps forward from the scare-mongering stance of previous works, these films still struggle to present bees in a way which is either positive, or even neutral. While this sinister depiction is somewhat inherent to genre films, and would continue well into the 2000s with The Wicker Man (2006), it shouldn’t be commonplace to associate bees with chaos and strife. Unfortunately, these depictions of bees are the majority of what exists in regard to fictional film depictions of apiculture, documentary films notwithstanding. While these depictions have improved in recent years, examining the evolution of genre films through the 80s and 90s and analyzing how bees have evolved along with them is important context for understanding the representation of today. While Candyman and The X-Files are enjoyable movies in their own right, their presentation of bees isn’t exactly sterling. That being said, the progression towards a less demonizing look at the honey bee is always welcome. As the 90s reached a close, the bee would once again fall out of favor in genre filmmaking, and would instead migrate to dramas and comedies instead. It’s this arena in which the bee still resides, and should rightfully stay. Sure, horror and science-fiction can be fun, but apiculture has had more than enough negative representation. Maybe next time the bees should be the ones saving the world, yeah?